Visit one of the sunniest places in France with cheap car rental service! Complete our search form to get the best car rental Perpignan deal! Car rental Perpignan makes it easy for you to save money! Comparing prices of the leading car rental companies we find the best car rental deals for you! Car rental in Perpignan is your international connection to the widest choice of cars for reasonable prices! 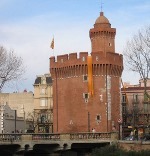 Decide upon Perpignan pick up location and familiarize with Must Know and Places to Visit with car rental Perpignan! 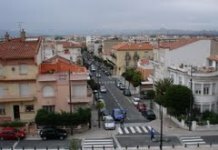 Perpignan is the capital of the department of the East Pyrenees and the second most populous city in the region of Languedoc-Roussillon. 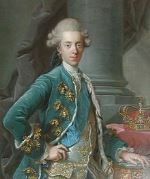 The city has long time ago become a popular tourist destination for travelers in France. 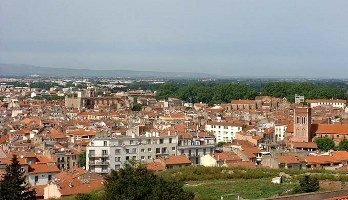 The historic city of Perpignan is a mixture of France and Spain. Spanish way of life still dominates the town and by the way the locals hang out. Take a walk around the city is in the middle of the day during siesta. Wonderful channel extending throughout the city and a large park area, will give you a feeling of freshness and freedom. You can drive with a licence issued by another European Union member state for an unlimited period. Driving licences issued by a non-EU state are valid only for the first 12 months, and must be exchanged before the end of this period for a French licence or you may be required to sit for the French driving test, both written and practical. You are also required to keep your car papers on your person when you leave the car. If it's stolen with the registration in the glove box, you may have trouble with your insurance claim. 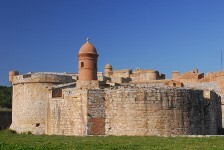 The Salses Castle is built on a narrow flat streak of land along the coast of the Mediterranean Sea. This half buried in the ground fortress has been built between 1497 and 1504, by the Spanish architect Francisco Ramiro Lopez for the King Ferdinand of Aragon, King of Spain. The Salses Castle has been built to withstand the metal cannon bullets. The fortress is built from pale red brick and natural stone. It is very well preserved. 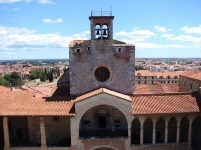 Get car rental Perpignan to visit this place with comfort and minimum expanses. This building stands at the point, where the old new towns meet. It served first as a city gate, then as a prison. Built mainly in the late 14th century, it was altered by Louis XI during the French occupation, when he added the present Notre-Dame Gate. The highlight is the rooftop access, which gives a magnificent view across the city. Get car rental vehicle and spend one hour of your time for unforgettable impressions here. The palace is one of the most remarkable examples of medieval civil and military architecture in Southern France. Its construction started in 1276 and it was a residence for the court of Jaume II of Mallorca. The palace is a combination of beautiful Gothic buildings with elegant arches. The Homage Tower will provide you with an excellent 360 view across the city. Get car rental Perpignan and come to enjoy this beauty. The museum’s collections reveal the beauty of the art culture of the Pyrénées-Orientales from 13th century up to the present day. Metallic-glazed Catalan ceramics and works by Maillol, Dufy, Picasso, Grau-Garriga and Miró, are all on show. Come to see the artworks using our car rental service. RentalCars24h.com offers you reliable car rental Perpignan services that will help you to feel free and independent when moving around the town. Providing best online prices for car hire Perpignan services, RentalCars24h.com allows you to save money each time when you rent a car in Perpignan.